If a business is interested in raising money it will need to determine who it is catering to, what product it is selling, why it is in business and who it wants to market to in an effort to devise a plan to raise money and increase profits for the company. Raising money for the company is another way of saying the company is interested in increasing cash flow and there are a myriad of ways to do this successfully. Increasing cash flow at a company starts with a plan. Everyone underestimates the significance of a plan. A person can go to Europe on vacation and not have a great adventure by just loafing around without a plan, and the same goes with a company. If it has no idea where it is going it is stumbling around in the dark and will end up “nowhere” as a result. The managers and owns should ask: Who is the company currently in business for and what is it selling to the public? Are the goods and services being offered to the public priced appropriately or priced under or over what the market will bear? These are important questions to answer first. Once these questions are answered, it will be necessary to review the company product or service offered. Is the company producing a high quality product and offering stellar service? If the answers are all yes it should be able to bring in cash flow for the company, assuming there are no direct competitors who will offer the same products or services at a lower price. Next the company can offer the community resources and charge for these at a premium. If the company has rooms available that it can offer to the community for use after hours for meetings or other events, the company can charge for these services. For example, if the company has a room to make available to civic or non-profit organizations, it can advertise that it will offer a flat fee for use for any organization meeting these criteria. 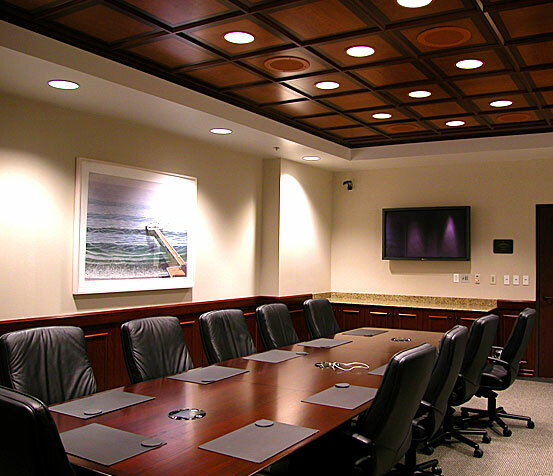 The price of keeping the rooms open in the office, janitorial service or security and electricity costs should be factored in to decide on a fair price for deciding on the cost of the meeting rooms to the public. It is possible that the rooms can be a safe meeting alternative for support groups to Girl Scouts, and the community will appreciate having these areas available for use when necessary. The company can also look into sponsoring youths to gain income. For example if the company sponsors a baseball team, it will find that it has many opportunities for free advertising at the baseball games and field, on the radio and in news media coverage locally of the game, in brochures and flyers and in raffles and auctions a the schools – and all this for buying a local team their uniforms and having the company logo on the front of the jerseys! This will create goodwill in the community and will allow the community to be supported while the potential referrals to the company may be enough to bring a needed cash flow to the company as a result. Another way for the company to gain cash flow is to consider taking on a community based project and applying for a grant to fund it. For example, the company can decide to recycle a product in an interesting way, such as a shoe company interested in recycling shoes which are mildly defective by offering them to the homeless shelter or to a Goodwill center locally. The company can get a grant to help fund an initiative to help the people in the area be trained on how to assist the homeless in finding materials locally such as rubber or plastic which can be used to recycle products to make shoes going forward. Or a grant can be used to train exchange students to come to the company on an internship program and teach them how to be designers of shoes and take those skills back to their country in a student exchange/work study program with other partner countries. Finally, a company can raise money by using its existing customer and client base to garner referrals to make a bigger book for business for the future. The company can offer customers who bring in a client a discount on their own future service with the company, but this tends to defeat the purpose. Instead, the company can offer that clients who refer other for service can expect to be promoted to preferred customer status and can be offered more perks at that level which may include a percentage off their service or ease in making appointments or getting in during and emergency. For example, at a car dealership, a preferred customer who makes referrals to friends may have a standing appointment in the shop for service whenever the person wants to come in for routine service such as oil changes or registration stickers. Sometimes consumers and customers prefer the “rock star” treatment over getting a discount. There are many ways for a company to increase revenue and no one way is correct, since any effort which works to bring in more money to the company is a viable alternative to making money for the company in the long run. Bad Credit and Can’t Get a Loan?